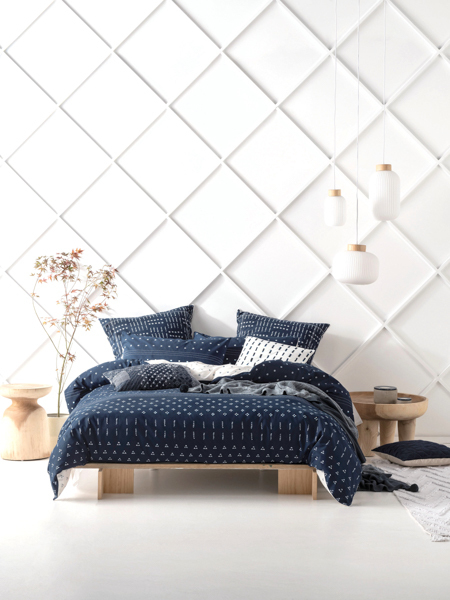 We’ve been singing the blues when it comes to our sartorial selections for the longest of times and now, blue is making a splash in the homewares realm. And, while this versatile hue comes in all shades and sizes, it’s the deepest and moodiest that are making their impact in the home this season. Elegant and sophisticated, it pairs well with just about everything this style season has to offer, such as sumptuous rich jewel tones, plush velvet upholstered sofas, gold accents and marble accessories that are making our house-proud hearts go pitter patter. When it comes to colour psychology, deep blues are ruling the colourful roost here too, representing feelings of calmness and serenity. It is often described as peaceful, tranquil, secure and orderly, creating a sense of stability and reliability. So quench your colour craving with some beautiful blues hues. We’re sure it won’t be long before you’re singing the blues too.